Looking for a good deal on some fantastic curriculum for your next academic year? Homeschool curriculum can be expensive. And, most of us are on a tight budget since homeschooling families are often one income families. At the same time, each year we gather tools, books, and curriculum supplies and at the end of the year, they sit on a shelf until they can be used again. Sometimes, our homeschooling shelves get so cluttered with used curriculum that we find we need to get rid of some things to make room for more. 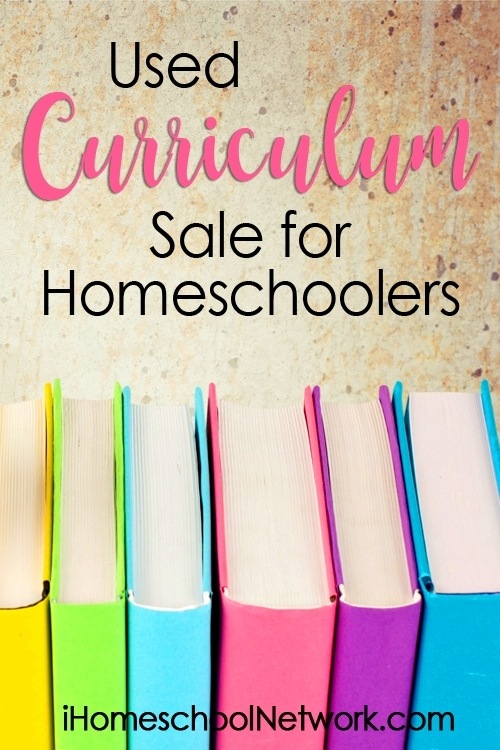 That’s why the iHomeschool Network bloggers are bringing you these Five Used Curriculum Sales.